The National Honor Society (NHS) is one of the oldest and largest recognition programs for high school students in grades 10-12 in the United States of America; however, it is also present in several other countries. NHS honors those students who have demonstrated excellence in the areas of scholarship, leadership, service, and character. The National Honor Society was founded in 1921 by the National Association of Secondary School Principals. Students in grades 10, 11, and 12 are invited to apply for induction in to Brent’s chapter of the National Honor Society. Completed applications must be submitted to Mrs. Jewell in S-313 by 3:30 pm on Wednesday, January 30, 2019. Late applications will NOT be accepted. Students may also reference the NHS Candidate Rubric (to be completed by the NHS Faculty Council) for more information about how new members are selected. The Faculty Council of the chapter selects students who demonstrate outstanding performance in all four criteria of scholarship, leadership, service, and character. The scholarship requirement is based on a student’s cumulative grade point average. 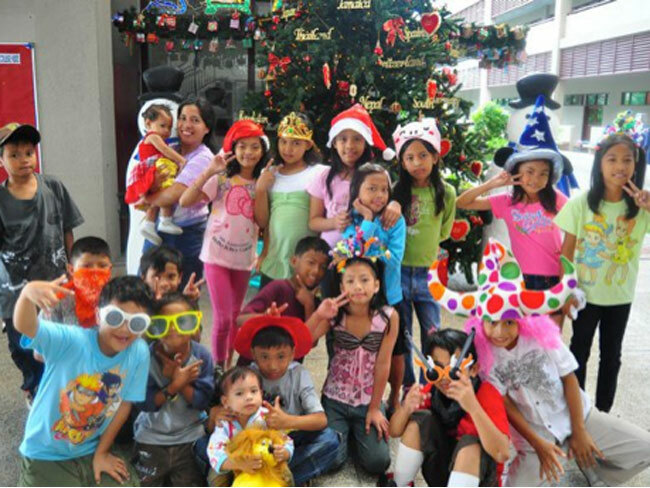 The minimum GPA allowable in Brent International School, Manila is a 3.50. All students who meet this requirement are then eligible for consideration on the basis of service, leadership, and character. This quality is defined through the voluntary contributions made by a student to the school or community, done without compensation and with a positive, courteous, and enthusiastic spirit. The student of good character upholds principles of morality and ethics, is cooperative, demonstrates high standards of honesty and reliability, shows courtesy, concern, and respect for others, and generally maintains a good and clean lifestyle. 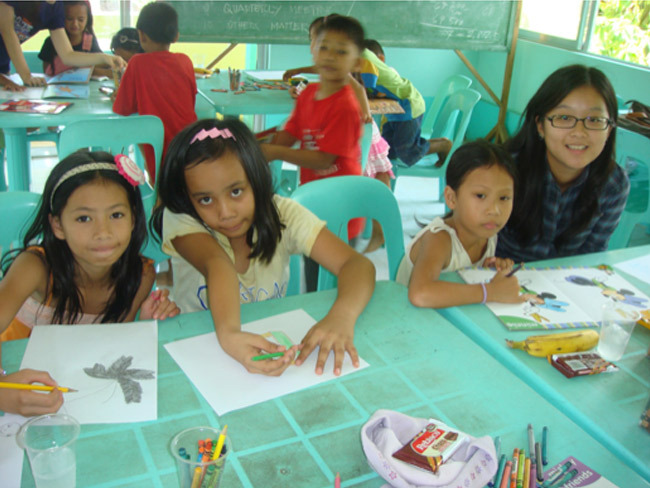 National Honor Society members, along with other Brent students and an NHS advisor, go to Gawad Kalinga Philips Village every Saturday morning and teach Math and English to a group of about 50 children in the village. Since it has been going on for a few years, the children of this village have become part of Brent family. 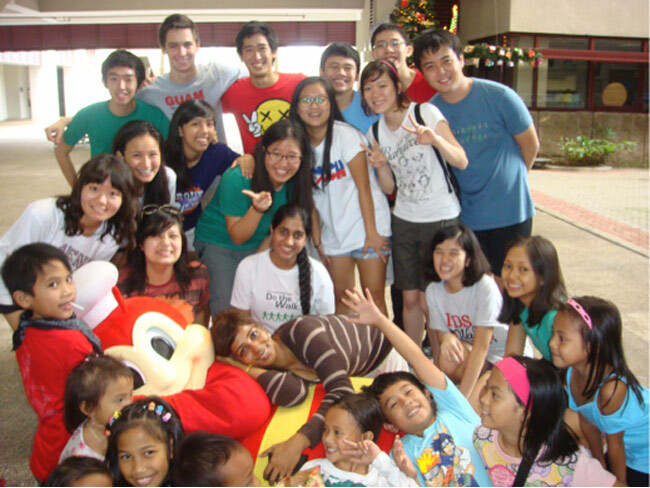 NHS students organize Christmas and end of the year party every year at Brent International School Manila Campus for the students and their parents. 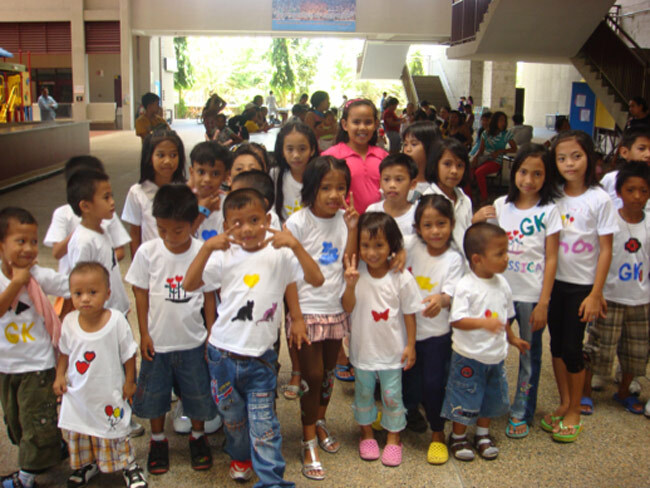 The NHS chapter at Brent International School Manila has been making a difference in the lives of the public school children of Gawad Kalinga (GK) Philips Village, Philippines. For the past 6 years we have held a weekly tutoring program, but these children only had access to two workbooks (Math and English). 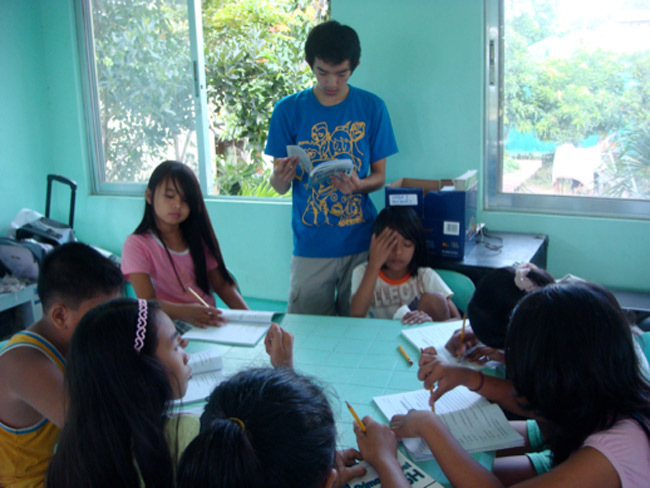 Last year, the chapter decided to establish a children’s library for the village. Members took initiatives and worked collaboratively for 6 months. They organized a school- wide book drive and a fundraiser to build the library. 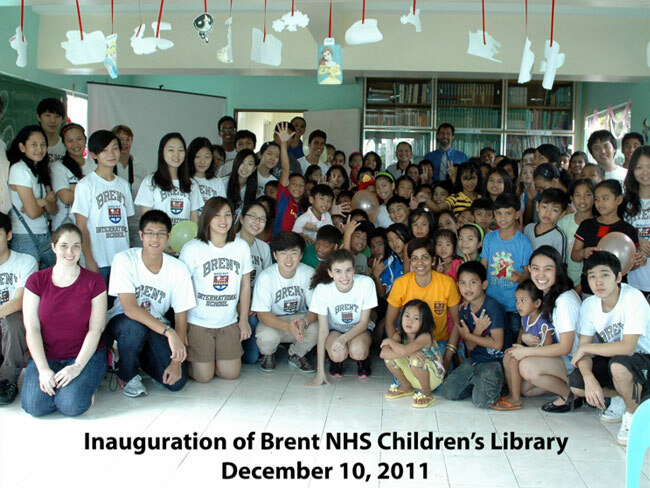 The ‘Brent NHS Children’s Library’ was inaugurated on the10th December by our principal and the president of the village. For this accomplishment they were selected for one of the 10 Outstanding Service Project Awards given in 2012. Considering there are 23,000 active chapters of NHS and NJHS worldwide, this is a remarkably admirable accomplishment. The full list of winning chapters is posted on the national website at www.nhs.us/osp.